I've been golfing for over 20 years now. Nope, I'm not an expert, but I've learned a lot over the years. Here are my tips on having a good attitude for golf, getting along with the other players, advice on swing thoughts, and lots of other little ways to make your time on the course go more smoothly. I've tossed in some putting advice and even ideas for organizing your gear, good snacks to take along, and some suggestions for dealing with wildlife on the course. Golf can make you crazy. One moment you hit the greatest shot ever and the next moment you're hunting your ball in the woods. Here are ways to keep calm and not lose your temper on the golf course. Keep reminding yourself, "it's just a game, it's just a game..." Golf can become so consuming that you take every shot as a life or death moment. It isn't. No one will die if you miss a shot or even mess up a whole round. Breathing is important. Here's a relaxation technique that works for me: Take a deep breath and hold it for a count of five. One, two, three four, five. Now let it out slowly through your mouth while mentally counting down from eight. Eight, seven, six, five, four, three, two, one. Think the words, "just relax. "You can do this while approaching your next shot. It will clear your mind of the last horrible shot, so it doesn't ruin this one. 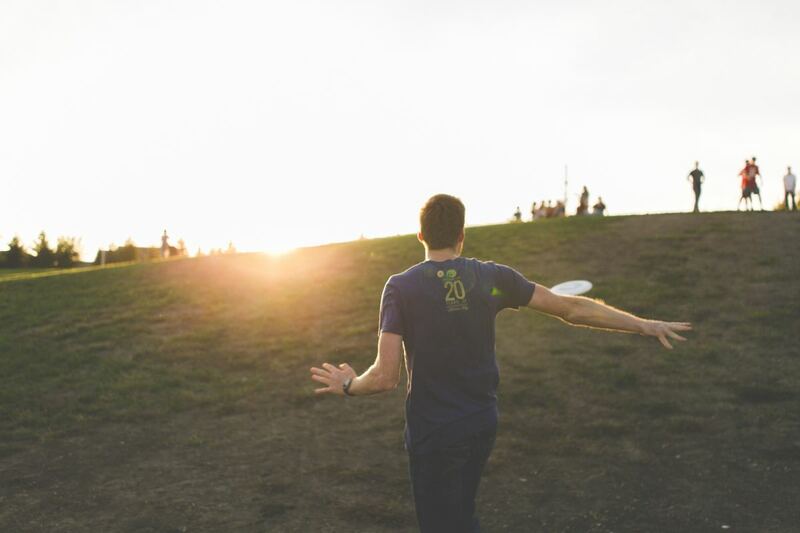 Learn to tune out some of the distractions on the course. If someone drives up in their golf cart just as you're ready to swing, STOP. Back away from the ball, refocus and start your swing routine again. Getting steamed at their inconsiderate behavior will only distract you and make you play badly. Keep loose. Tension is the enemy of a good golf swing. Focusing on anger and problems is guaranteed to ruin the rest of your game. Once you get really angry, you won't be able to make a decent hit for the rest of the round. Don't sweat the small stuff. Most of the time you don't have a $200 bet on that putt that just wouldn't fall in. Go on to the next hole and be sure to hit the putt a little harder. Remember, if you lose your temper, that other golfers won't want to play with you in future. Calmness is a virtue on the golf course. You've probably heard the saying, "Drive for show, putt for dough." It is true that your putting makes a big difference in your score. Here is my advice for improving that part of your game. Look for the curve and slope of the green's surface. Often you can see this best as you approach. 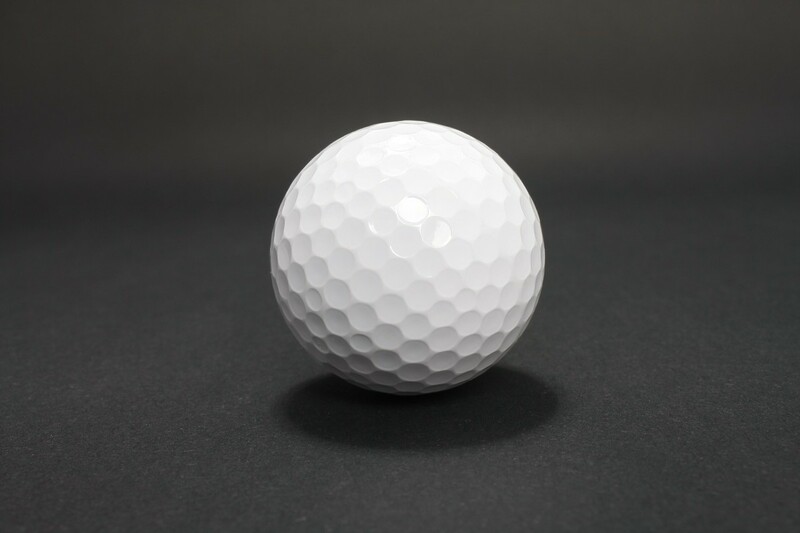 Look for the general slope and then at the smaller area between your ball and the hole. Think of your two arms reaching down to the club as the pendulum of a clock. Make your stroke by moving your shoulders and arms as one unit in a pendulum motion. Use your eyes to trace the path the ball will follow to the hole. Repeat this a few times to imprint the speed and line in your mind, then take your putting stroke. This is part of the pendulum stroke. Keep your arms and the club as one unit and don't let the wrists snap. Being wishy-washy with the wrists makes it very difficult to judge the speed of a putt and results in inconsistent distance. 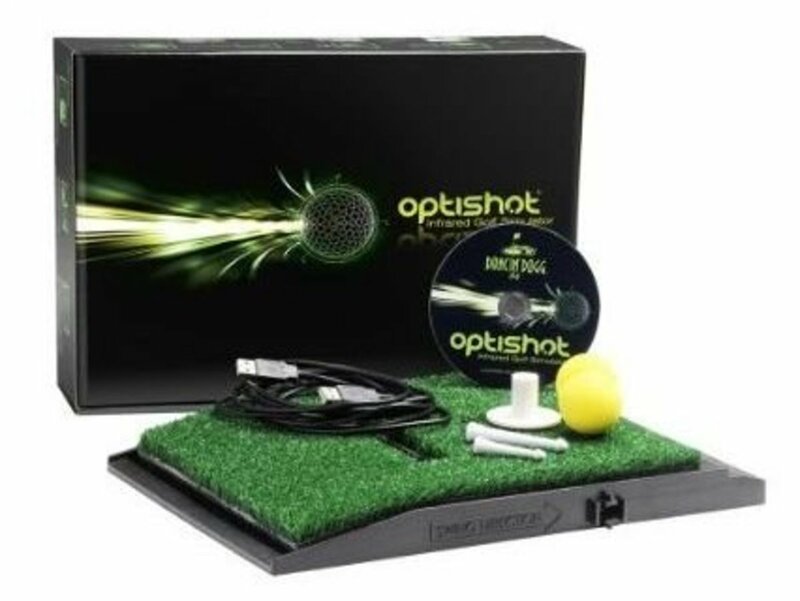 This is a sure-fire way to improve your putting. The closer you chip to the hole, the easier it gets to sink the putt. Practice your chipping! Becoming a golfer requires quite a bit of persistence and willingness to suffer for your game. We invest a lot of time, effort and money into getting better. It's best to develop a philosophical attitude and not let it make you crazy. Here are some ideas to get you started on your own theories of golf. The harder you try, the harder the game gets. That's my reminder that when I take a humongous swing, I'm more likely to whiff (miss the ball) than to make it to the green. A bad day of golf beats a good day of work. On days when I struggle with my swing, my putting runs amok, and I'm rummaging in the bushes for a lost ball, I remind myself of this philosophy. 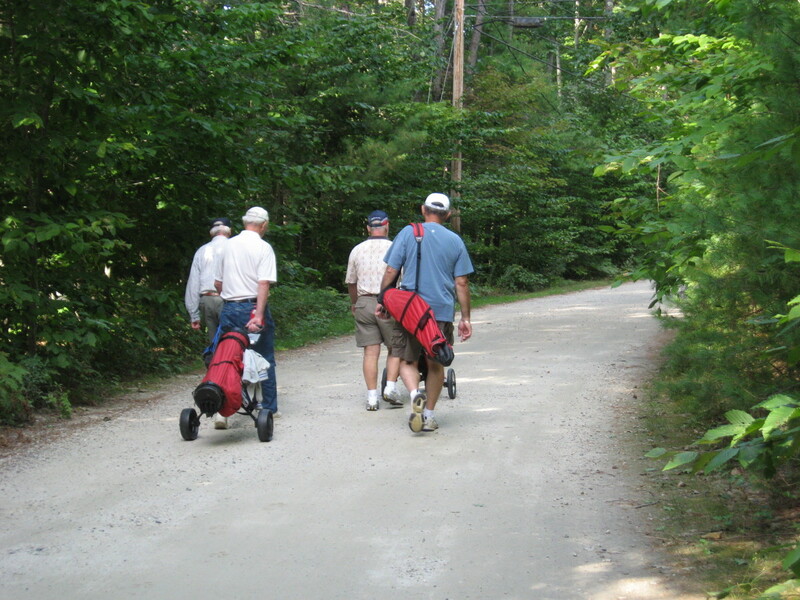 Take a look around you on the golf course at the beautiful swath of green, the graceful trees, and the birds chirping. Isn't it great to be outside? There will always be better golfers than I will ever be. I enjoy the game a lot more if I just compare my score to my previous one. Trying to improve my game and just beat my last score is better than feeling bad because I'll never beat Tiger Woods. Golf is not a game you will ever perfect. Remind yourself that the challenge of golf is what keeps it interesting. If it were easy, you would get bored and quit. 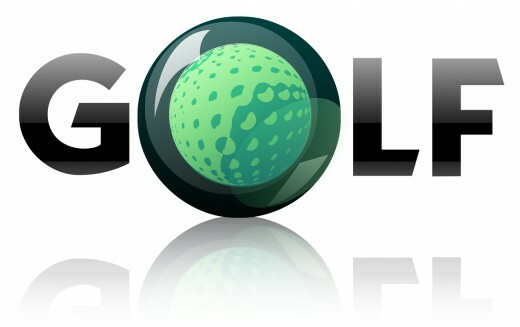 No one will ever get 18 holes-in-one in a single game. Those are some of the principles that I apply to my golf game. Developing your own attitudes, principles, or philosophies for golf takes awhile. Tune in on what you really enjoy about golf and what parts aggravate you. You will find that much of the pressure and aggravation come from within you. If you can make an adjustment in your attitude, you will find the game a lot more relaxing and enjoyable. 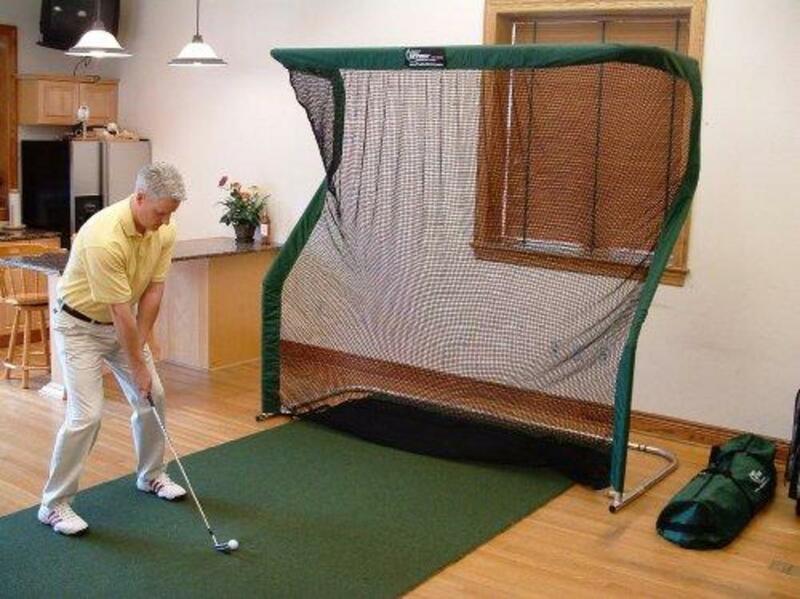 Golfers use a swing thought to help them improve their golf. If you have the wrong thing in your mind as you swing the club, the result can be a disaster for your game. Here are some swing thoughts that you do not want going through your head. Stay away from that sand trap: Unfortunately your mind latches onto the last part and what do you know, there you are in the sand trap. Never focus on a hazard in a swing thought. It seems to have the reverse effect. The ball is bound to end up in the water or sand if those are part of your swing thought. I hope they are out of range: If you are afraid of hitting into the group ahead, it pretty well guarantees a terrible hit. Wondering if the group ahead is still within range is the wrong thought to have in your head as you swing. Don't risk hitting someone or duffing the shot, wait until you are sure it is safe to hit. Is this a fire ant hill that I'm standing on? : Check out your place to stand before getting into the swing. Fire ants are ferocious biters. 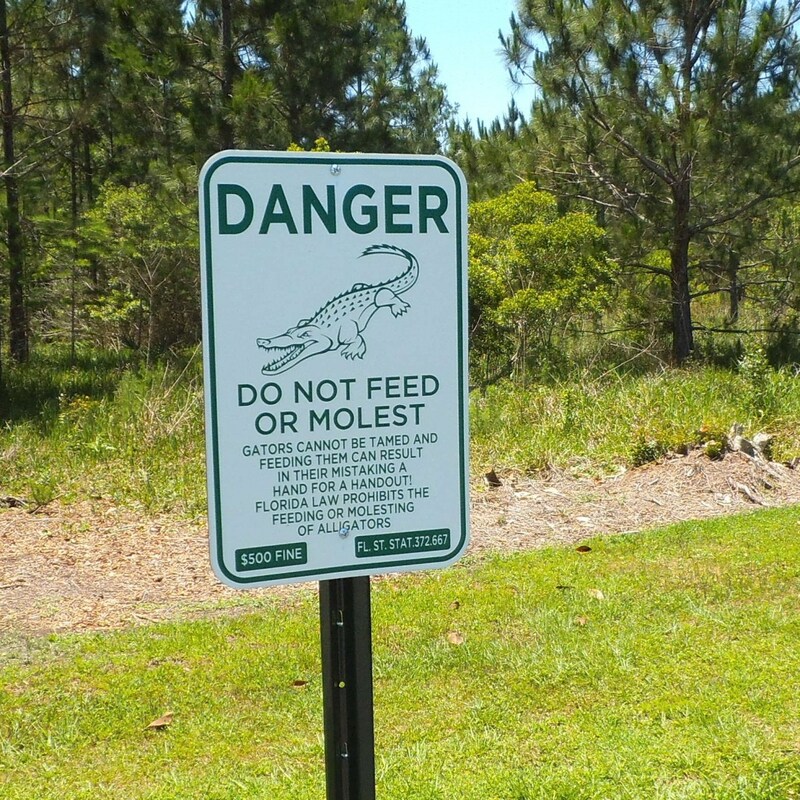 If you are in Florida, check the location of any alligators before starting your swing. Should I use my 6 iron? : Don't second guess your club choice. Make up your mind and go with it. Doubting your club choice in the middle of a swing is bound to result in disaster. Choose carefully based on the conditions, then have confidence when you swing. Keep your head steady, don't lift up, swing smoothly: Multiple swing thoughts distract and result in a poor swing. Choose just one and focus on it. Keep your focus. Trying to correct too many problems at once guarantees a bad swing. Choose one aspect of the swing to key on and you'll have better results. Hey, that was a funny joke: Blank out the chit-chat once you get to the tee box. If your mind is still on the conversation instead of the swing, then you can't expect good results. If you're a golfer, what's your favorite swing thought? What's Your Favorite Swing Thought? Be friendly and encouraging to the other players. Comment on a good shot they made. 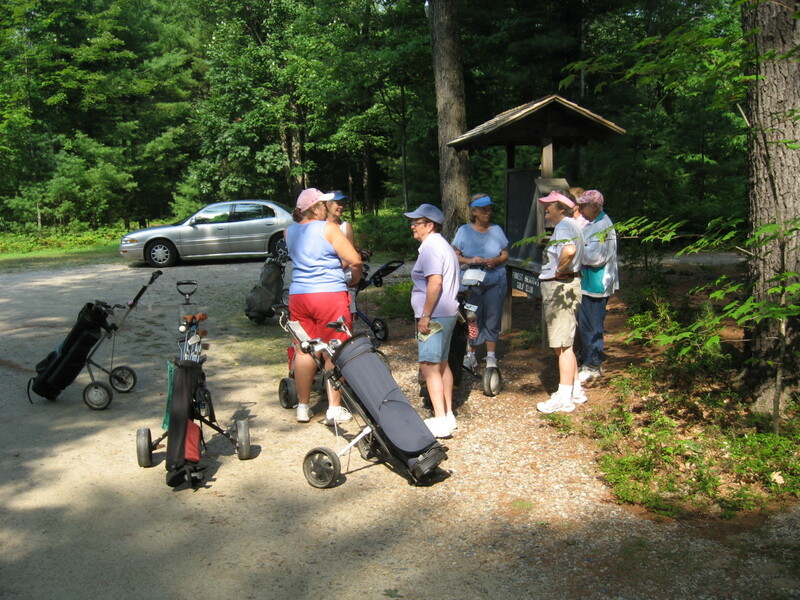 Admire their clubs or their golf cart or ask about their GPS. Use the other player's first names. People love hearing their own name. Have a few brief golf jokes or stories that you can tell when you're waiting to play. Don't talk too much. Keep quiet when others are playing. Don't call on your cell phone or take calls (unless you have a family member on their death bed). Don't start long stories that delay the pace of play. Make yourself handy by watching where their shots go, tending the flag, and picking up other's clubs for them. Help others look for lost balls, or offer to hit while others search so your group won't lag behind. If you finish putting first, stand by the flag and return it to the hole when the others are finished. Don't smoke. Even outside, the smoke can irritate others. This includes cigarettes, pipes, and cigars. Be a good citizen on the course. 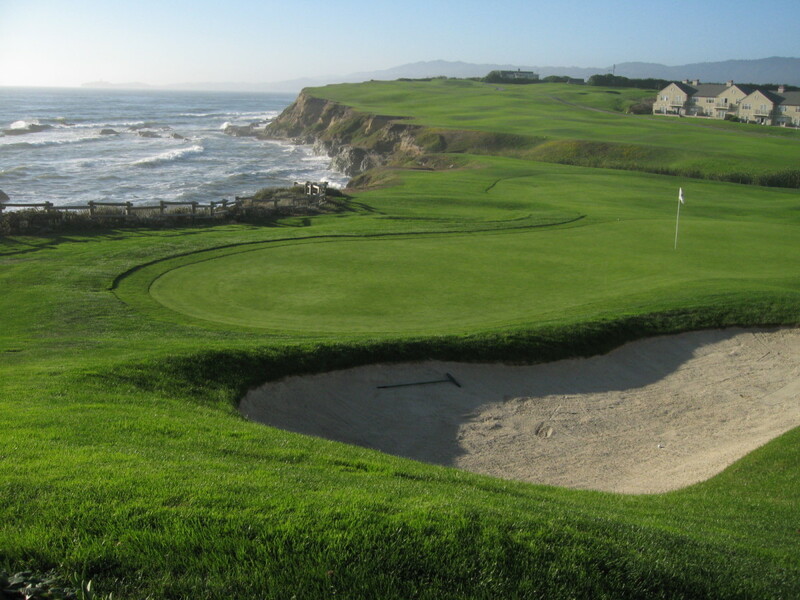 Repair your ball marks, rake over your footprints in the sand trap and fill your divots. Follow the guidelines for where to drive the cart. Pick up your broken tees so they won't interfere with the mowers. If you're having a bad day, don't make every shot into a tragic opera. Better to suffer in silence. The others will feel for you, but it becomes burdensome if they have to keep reassuring you through the whole round. Never throw down your club. Don't make an excuse for every bad shot. It gets tiresome to hear. It helps to joke a little and keep it light. It's more comfortable for the other players if your game isn't so life-and-death. Have a few pleasantries to say when others encounter difficulty. You can say things like, "that wind today really makes the shots unpredictable," or "that happened to me the other day. Really frustrating." Be aware of the other players. Don't get ahead where you could be in danger from their shot. Don't stand on the putting green where your shadow falls across their line of putting. Don't walk across the line they will putt on, as your footprints might affect the roll. Be ready when it's your turn to hit. 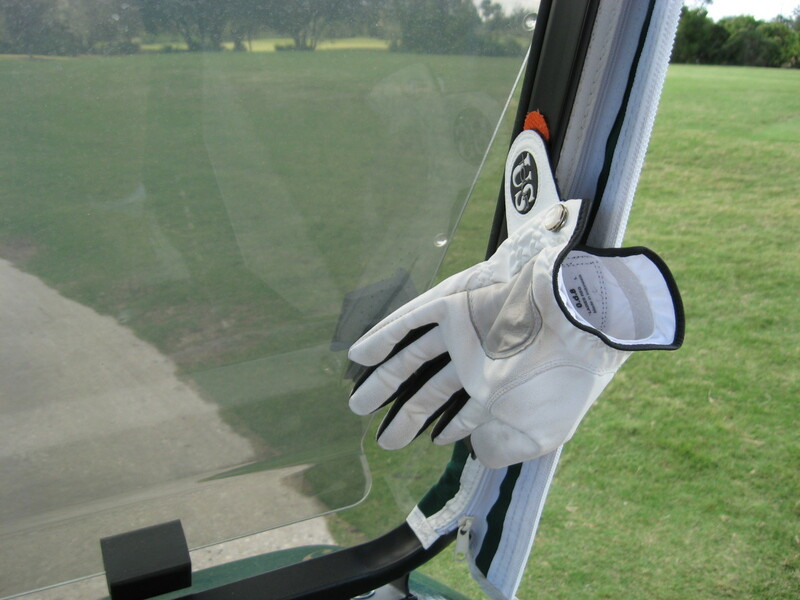 Have the right club(s) in hand and stand by your ball in readiness. Don't take 20 practice swings or study a putt from 6 different angles. 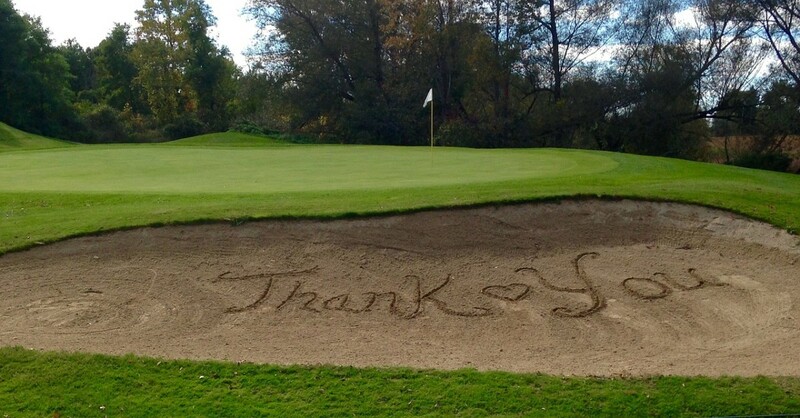 Playing golf involves very structured etiquette. Knowing what is expected makes the game go smoothly for all players. Here's the etiquette involving the flag on the green. As the players reach the green, each marks his/her own ball. 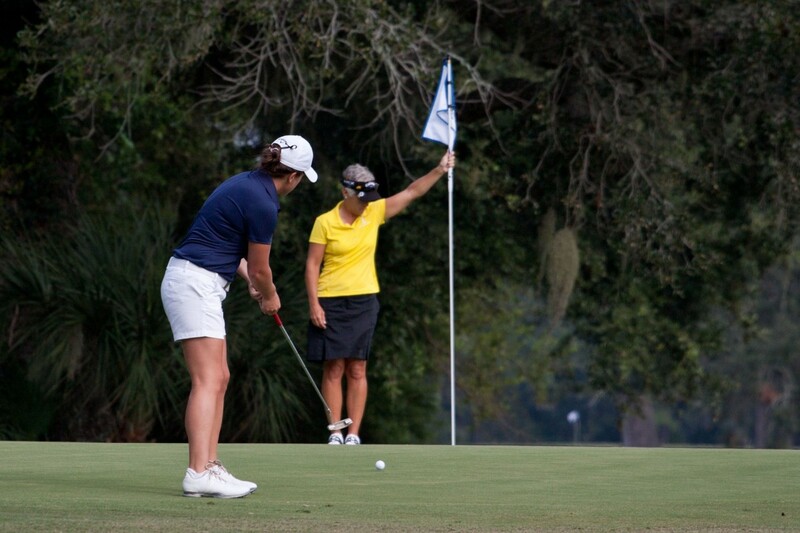 The player whose ball is closest to the flag (or pin) usually tends the flag while the others putt. The player furthest from the flag putts first. He/she will ask for the flag to be tended if they want the flag in the hole. To tend the flag, grasp the pole and flag together so the flag won't flap distractingly. Lift the flag from the hole before the putt to be sure it isn't stuck and return it to position, but not completely jammed to the bottom. Stand to the side with one hand holding the flag and pole. Do not move, talk or fidget while the person putts. Make sure your shadow does not fall across the hole or the path where the ball will travel. Make sure you aren't stepping on anyone's line. Don't let the ball touch the flagstick. As a ball approaches the hole, pull the flag out. It is a penalty for the putter if his/her ball touches the flag (in the hole or laying on the green). If they can easily see the hole, they will say, "just pull the flag." When you pull the flag, use care not to step on the line that any player's ball will travel. Take the flag out and place it off to the side where no one's ball will hit it accidentally. After the last person putts, replace the flag in the hole. Make sure it is standing upright and not leaning. While tending the flag, you can hold your clubs in the opposite hand or place them off to the side where they won't interfere with any putts. Spending four or five hours on a golf course means a golfer needs a snack to boost the energy level. Many foods are too inconvenient for eating between golf shots. Here are some of the tops snacks that work on the golf course. It's best to have these in a small plastic bag ready to eat. That way there's no time wasted peeling it and no inconvenient peel to dispose of. You can munch a slice of apple quietly while waiting your turn to tee off. You don't have to eat it all at once like you would for a whole apple. Eating a slice now and then through the round keeps away hunger. A banana can be eaten pretty quickly, but don't toss the skin into the bushes. Too often it catches on a branch and hangs there looking unsightly. There are cheese and crackers or peanut butter and crackers or other flavors. 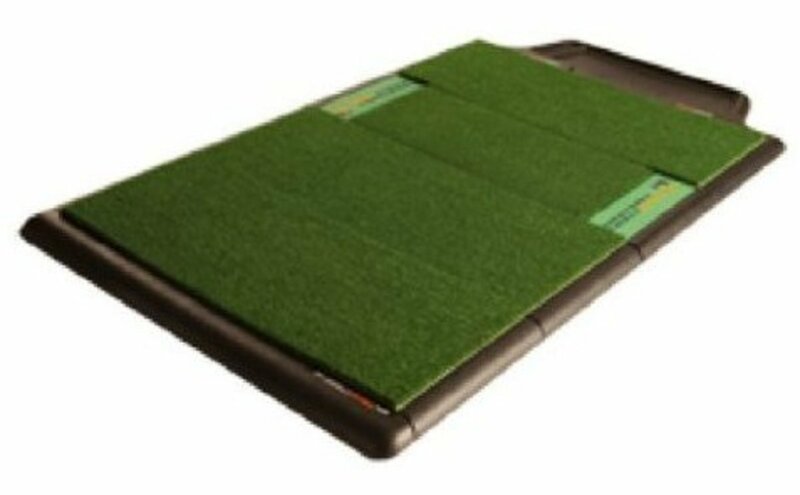 They are small enough to tuck into a pocket of the golf bag without getting crushed. These crackers withstand the heat well too. Just be careful not to rustle the wrapping while someone is taking their swing. This comes in a variety of flavors and doesn't have to be kept cool. Package it up in small plastic bags and you can nibble on it at intervals during the golf round. Often these have oats in them or may look similar to a candy bar. They sustain you better than candy, so you won't have the energy fluctuations from the sugar rush. Even though you are outdoors, don't strew sunflower seed shells or peanut shells around. It's easiest to have shelled peanuts or seeds in a small bag to snack on during the golf round. Final Tip: Sometimes birds or animals like raccoons learn to scavenge snacks from golf carts. If there's a cubby hole, put your snack inside. If not, keep it in a zipper pocket of your bag until you are ready for it. I do snap some quick photos with my cell phone if we are waiting or if it isn't my turn. Be very careful not to make other players wait while you take pictures. This is very annoying to players behind you. Do not feed the wildlife. It gets them to expecting handouts and then they can make a nuisance of themselves. 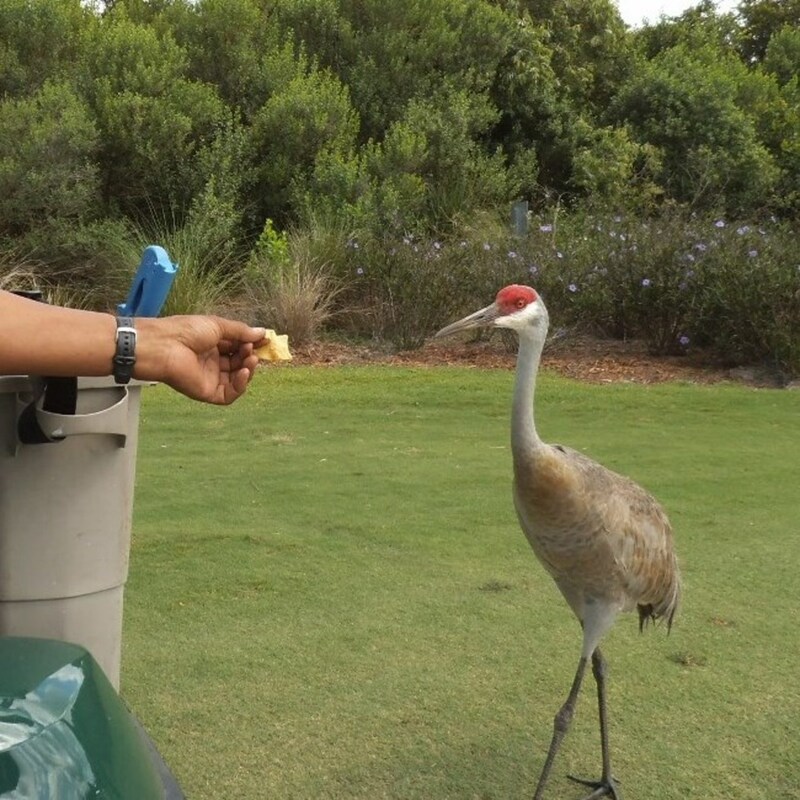 In the case of sandhill cranes (like the one in the photo above), it is actually illegal to feed them according to Florida state law. Feeding alligators is against the law too as it habituates them to people. Those become nuisance alligators that have to be removed (usually shot). You can take a free drop if your ball lands near an alligator. Stay away from snakes that you see on the course. Just drive around them at a good distance. Use care in hunting your ball in the brush where a snake might be hanging out. Best Golf Score Ever for Me! On Wednesdays, we play golf with a couple of our neighbors. It's always fun to go out with them, but today was extra fun as I played way above my usual level. 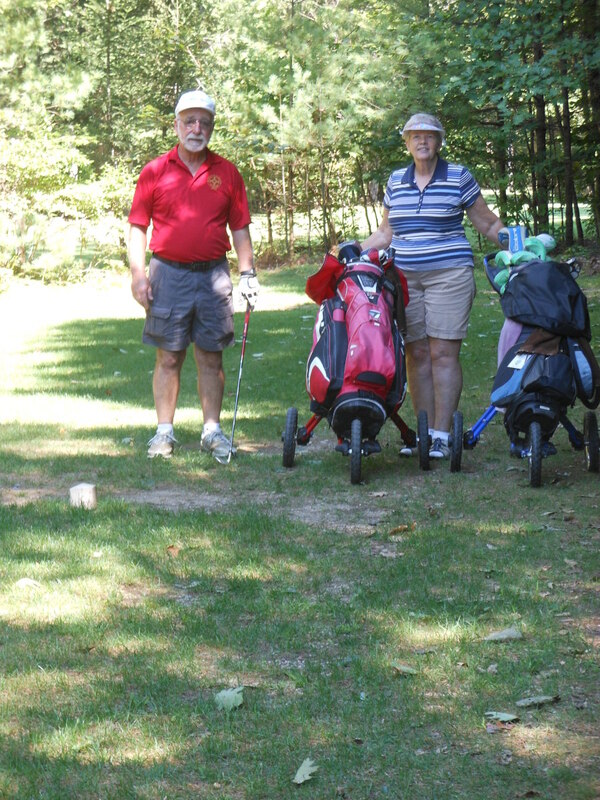 I even beat my husband who is a much better golfer than I am. His handicap is 11 and mine is 25. So in a normal day, I lose a ball in the water, take an extra shot here and there getting out of sand traps, miss some putts and muff a few fairway shots. That puts my usual score about 14 strokes more than his. Today I shot par on 9 of the 18 holes. (for non-golfers, par is the expected score on a hole for a good golfer) My drives off the tee were awesome. Straight and long. My fairway shots were solidly hit and generally straight. 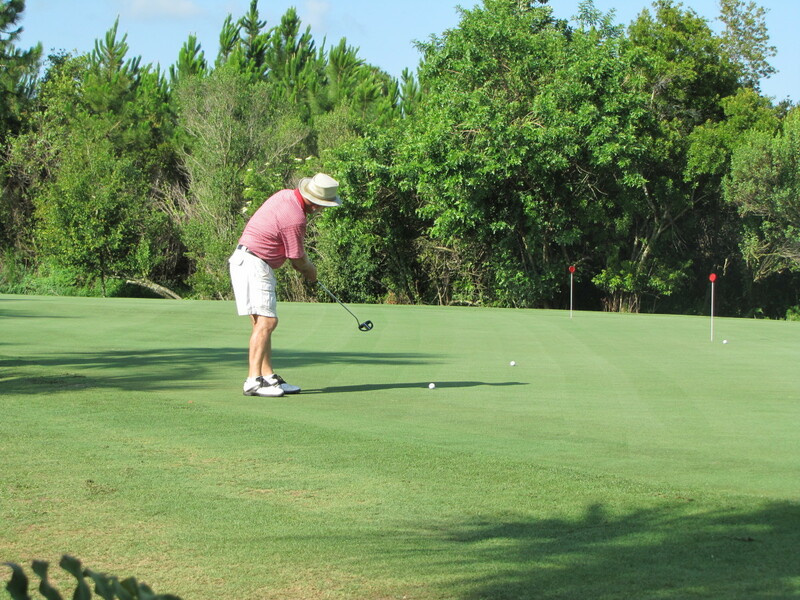 My chips landed close to the flag and so I was able to one-putt or two-putt in most cases. I did get in trouble on hole number 10 and used my maximum number of strokes there. Darn, sand trap. Other than that, it was par or bogie all the way around. My final score was 84, the lowest I've ever shot. Normally I'm scoring around 95, even up to 100. Of course, my husband said, "why don't you play like that all the time?" Sure wish I could. Hi, Virginia, I am not a golfer, but my uncle a high court judge was and pass away some years ago, otherwise, I would have brin all this story to his attention for him loves reading. I was not able to follow him to the course. So, I settled for other sports activities. Thank you for sharing such a valuable piece of golfing information. Very interesting read, wish I had learned. Am sure it would be such fun. This is a very interesting and useful article for any golfer, peppered with a good dose of humour.